BLUE LILY, LILY BLUE by Maggie Stiefvater is the third instalment of the fantastic The Raven Cycle; it is the penultimate book in the quartet. Blue Sargent and her Raven Boys – Gansey, Ronan, Adam and Noah – are still searching for Glendower, but the consequences of events in THE DREAM THIEVES, the second book in the cycle, play out in this book. It has been a while since I read THE DREAM THIEVES and even longer since I read THE RAVEN BOYS, but I found it easy and familiar to sink back into the world of The Raven Cycle. Stiefvater does it again with this book; the story is engrossing and the characters are compelling, and I desperately want to know what the final book – THE RAVEN KING – will bring. BLUE LILY, LILY BLUE is everything I expected from the third book in this series. The story is a delightfully dark urban fantasy, and despite its length a quick read: after a bit of a slow start, once I picked up the book I just wanted to know what was going to happen next. If you have enjoyed this series so far, then you are definitely going to love this part too. Blue Sargent is my favourite character in this book, and the series as a whole, and in this book we get to learn a little bit more about her. Gansey is still obsessed with finding Glendower, but he’s grown as the series has progressed – and the same is true in this book too. Ronan, Adam and Noah all came into their powers in THE DREAM THIEVES, and in this book we see the consequences of that. Ronan and Adam in particular still revolve around their friendship with Gansey, and he is in many ways the centre of this book. I really enjoyed the way Stiefvater wrote the friendships between Blue and her Raven Boys, I think that is why I enjoy this series so much. Stiefvater also does a fantastic job with the secondary characters, and I really enjoyed the appearance of Malory. 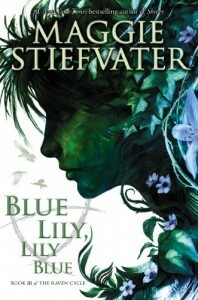 Stiefvater weaves the plot of BLUE LILY, LILY BLUE brilliantly. There is the definite feel to the story of magic and mystery, and of old powers waking up. Like the rest of the series, the main plot of this book focuses on the hunt for Glendower but there is also an assortment of subplots weaving through the narrative. I found it easy to keep track of the story, although having said that I did find some of the jumps to different characters and events at the start of new chapters to be disconcerting. Despite this, I thought the story flowed quite well and was very readable. 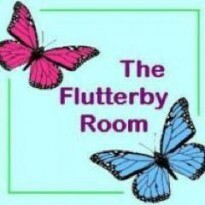 BLUE LILY, LILY BLUE is a great addition to The Raven Cycle. If you are a fan of a quite dark urban fantasy – whether in the young adult genre or not – then if you haven’t you should definitely considering checking this series out. Stiefvater does a fantastic job with the world and its characters, and I cannot wait to pick up the fourth and final book.